Ivy Lee Barnett, age 70, was born on November 28, 1948 in Huntingdon, TN, Carroll County to the late Wade and Robbie Jean Barnett. On Sunday, January 20, 2019 at the Kobacker House in Columbus, Ohio he closed his eyes and passed on to glory after a long battle with cancer. He attended Linden McKinley High in Columbus, Ohio. After graduation, he joined The United States Army. 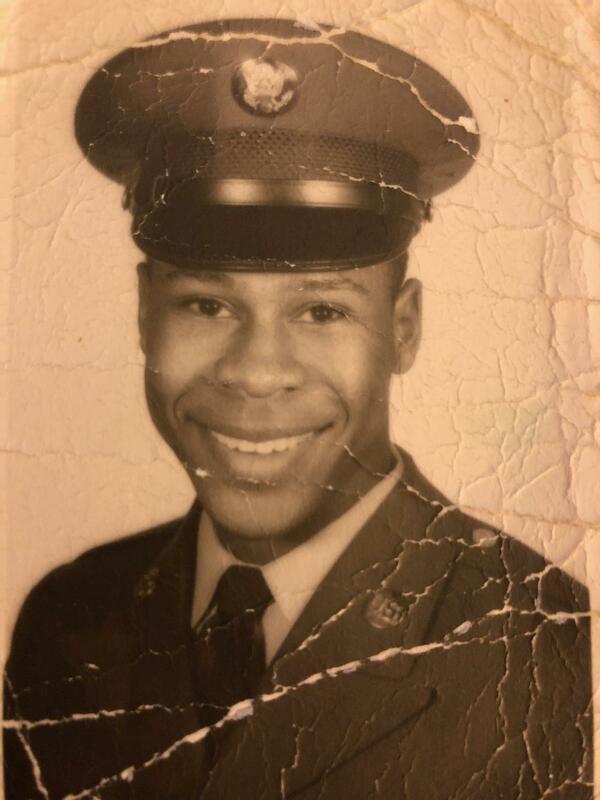 After returning home from the Army, he continued his military duties by serving with The National Guard Army Reserve. On December 11, 1970, Ivy married the beautiful Ruth Hampton and to this union they had two children. Ivy and Ruth moved to Columbus, OH, in 1981. Ivy was a supervisor while working for A-Z Packing until he retired in 2009. He became a member of Consolidated Baptist Church in 1981. While a member of Consolidated Baptist church, Ivy was a member of the Male Chorus where he enjoyed singing, traveling, and fellowshipping with the members of the male chorus. Ivy was an avid Buckeye and Cleveland Browns fan. Everyone knew that when the game was on you left Ivy alone. Ivy Lee was preceded in death by his wife Ruth Manon Barnett and his parents Wade and Robbie Jean Barnett Sr. He leaves to cherish his loving memories his children Jennifer Barnett and Victoria (loseph) Smith, both of Columbus OH, two sisters Carolyn (Riley) Andrews of Columbus, Ohio, and Wanda (James) Hayes of Tuscan AZ, two brothers Wade (Tonya) Barnett Jr., and James (Tara) Barnett, both of Columbus OH, six grandchildren, Harrison “Alex Derow” Cromartie, Jasmine Smith, Dominique Cromartie of Omaha, Nebraska, Da’Jour Smith, Ashleey Cromartie, and Jailan Smith all of Columbus, OH; two great grandchildren Ameya Cromartie and Khilee Campbell of Columbus, OH; three special nieces Angela Price of Columbus OH, Elana Jamison of Huntingdon, TN, and Phoebe (Billy) Stubbs of Memphis, TN; three special nephews preceded in death by nephew Jeffrey “Bodine” Jamison of Huntingdon, TN, special nephew Cedric (Stephanie) Jamison of Jackson, TN and Tony “Beasley” Hampton of Columbus OH; two sisters-in-law Mattie (Ivy) Jamison, Emma Nesbitt both of Huntingdon, TN; three brothers-in-law Tice (Geneva) Hampton of Columbus, OH, Fred Johnson and Lester Johnson of Huntingdon, TN; special extended family, Shireta Cody, Stacy (Tony) Jeter, and Carmen Jennings all of Columbus, OH; host of nieces, nephews, other relatives and friends. Visitation 9:00am and Funeral 10:00am Saturday, January 26, 2019 at MARLAN J. GARY FUNERAL HOME, THE CHAPEL OF PEACE NORTH 2500 Cleveland Ave.
Interment with Military Honors at Evergreen Burial Park. To the Barnett family. My heart is with you and your family at this time of your loss. There is comfort in knowing God’s promises about the resurrection hope. (Acts 24:15) and (John 5:28,29) In the past God has resurrected humans and He is eager to do it again because He hates death. (Mark 5:41-43) To learn more about God’s promises go to JW.ORG. There are online Bible study lessons featured and more. Love Your Neighbor Irish J. Richardson. There are no words to express the sorrow in our hearts. Please know that our deepest sympathy are with the Barnett family. No doubt you have made fond memories, that would resurface from time to time. May those memories and God’s words in the Bible bring some measure of comfort. Psalms 34:18 states he is close to the brokenhearted and crushed in spirit. Thoughts of peace.